Author Jack Challem, who was kind enough to share a copy of the Rossettis marriage certificate and the first photo of Lizzie’s grave published on this site, has also been gracious enough to mail me an article he co-wrote for The Journal of Pre-Raphaelite Studies in 1987. This is an analysis of the handwriting of both Elizabeth Siddal and her husband, Dante Gabriel Rossetti. Thank you Jack. It is in a pdf file and studies the personalities of Siddal and Rossetti through their handwriting. 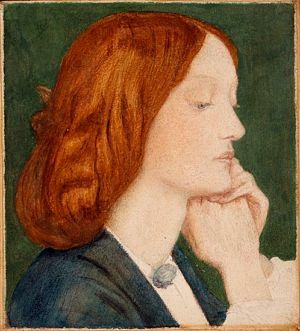 It includes the methods they used, emotional make-up of Rossetti and Siddal, thinking processes, potential for achievement, sources of anxiety, social conduct, personal integrity, special aptitudes, etc. Thank you for the absolutely fascinating article. From my studies of these two characters there were no surprises. I would say that a lot of the analysis, as far as we will ever know, is quite accurate. I have written a musical play about Rossetti, Lizzie, Jane Burden and Morris which is being showcased at the Oxford Playhouse on 27th April. it is called POSSESSED. I really enjoyed reading this article. Thanks to you Stephanie and Jack Joseph Challem for making it available. Do you happen to know anything more about Mr. Challem’s current areas of study? Is he still studying the pre-Raphaelites? It’s quite amazing how closely the handwriting analysts were able to reveal DGR’s and Lizzie’s personalities. I have a couple of brief comments in response to Teresa and Hope’s postings. I think what was most surprising about the analysis of Lizzie’s handwriting was her feelings of being constrained (not surprisingly) by Victorian society and that she was really a very sharp thinker and genuinely creative (and didn’t deserve to be patronized by early biographers, from Michael Rossetti to Lady Mander). 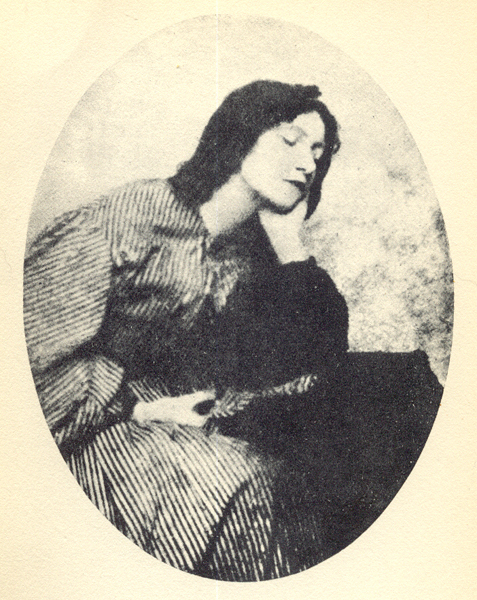 Although the findings of the analysis might not contain any surprises to students of the PRB, the two people who actually did most of the handwriting analysis did not know anything about either Lizzie or Siddal until after they completed their work. The accuracy of their analysis was incredible. As for my current areas of study…Stephanie Pina’s websites have re-energized my interest in the Pre-Raphaelite brotherhood and sisterhood, after I had to follow other pursuits. You can find more about what I do in life by either visiting my website or googling my name. Thank you for posting this analysis. Re-reading it today has given me insights into my own personality that, at a very crucial crossroads in my life, have made me realize I may be heading down the same road, and for similar reasons. This is a wakeup call for me. Time to re-assess. Bless you, Stephanie (and Mr. Challem). Thank you for this. Handwriting Analysis is a science. You can read more about it, and how you can use it to defend yourself from forgery.